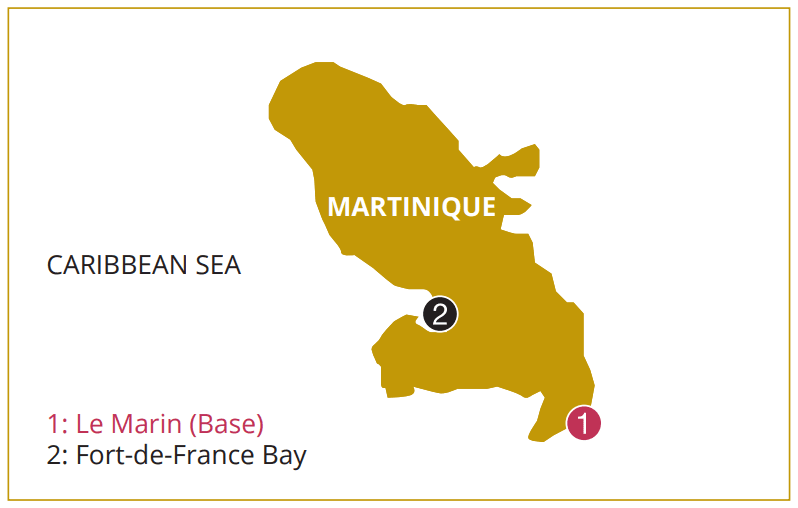 An ideal sailing location, Martinique is a French-owned island found in the heart of the Caribbean. Part of the Windward Islands in the Lesser Antilles, Martinique offers a great location south of Dominica and north of St. Lucia. With an abundance of culture combined with beautiful waters and incomparable natural beauty, this mountainous Caribbean Island is a true destination in paradise. During your Martinique sailing holiday, you’ll discover pristine white beaches in the south, and incredible black sand beaches in the north. Traversing the island in your yacht charter is a wonderful way to experience Martinique at your own pace, enjoying both water activities and explorations on land. 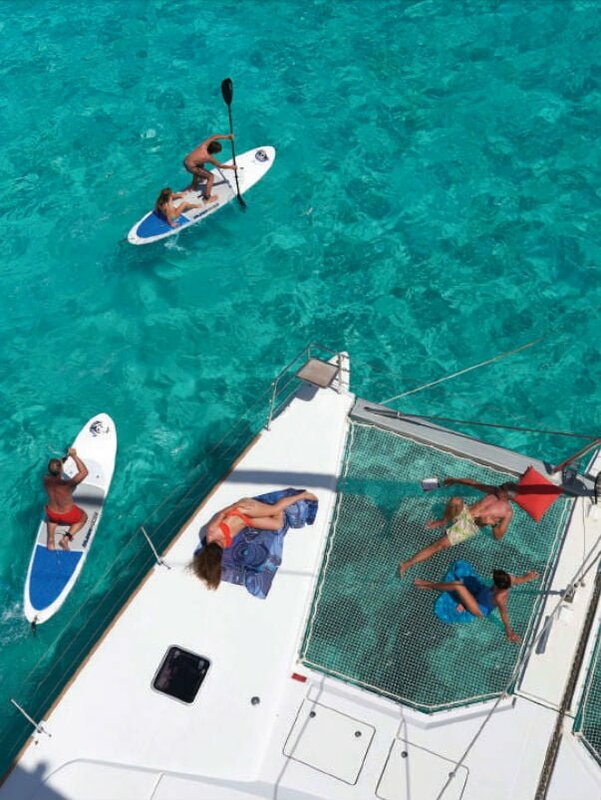 Mooring your vessel allows you the freedom to visit nearly any part of Martinique’s shore. Make sure you visit Anse Couleuvre Beach on the northwest tip of the island, for amazing snorkeling. You’re sure to spot some marine wildlife, and this area is known for sea turtles and stingrays. Nearby are some lesser known, “wild” beaches for you to explore. If sampling cuisine is your forte, you’ll love to variety of dining options available on Martinique. Also famous for their rum, you can enjoy a beverage anywhere on the island, or you can visit a local distillery to see how it’s made. Martinique’s capital, Fort de France, is the place to be to experience a fusion of French and Caribbean cultures. Here you can shop, dine, dance to live music, and see world-class entertainment. This area offers friendliness mixed with elegant French-inspired sophistication. If you are looking for a more small-town feel, you can set sail on your chartered yacht and visit the myriad of quaint towns and villages dotting the island. 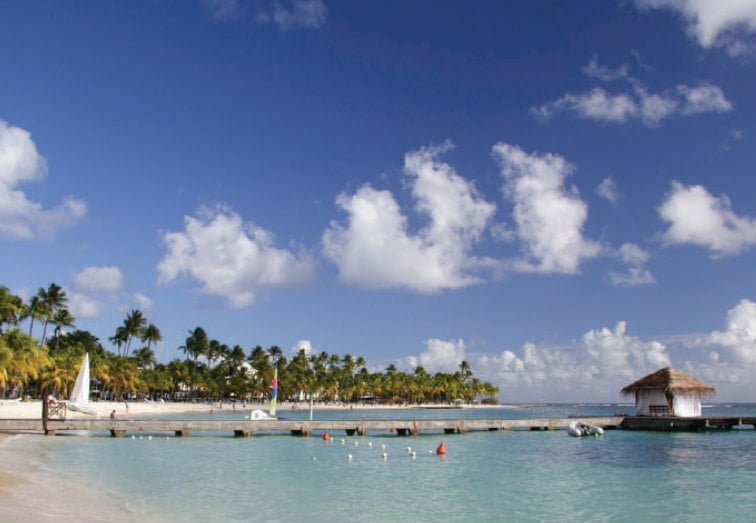 The classic Caribbean vacation destination, Martinique truly has it all. 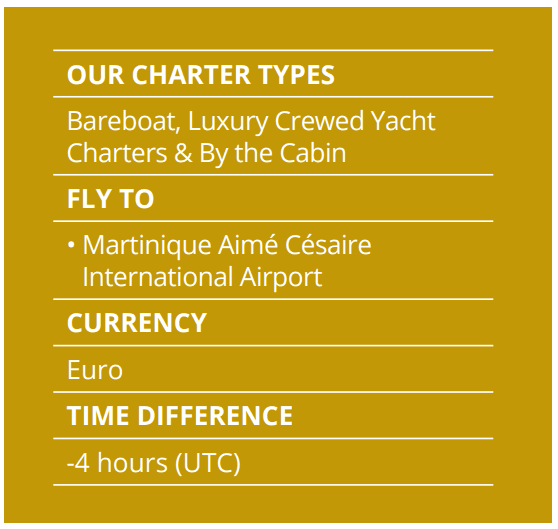 When you arrive at the airport, it is a quick trip to our Dream Yacht Charter base in the marina at Le Marin. With all the facilities you could need at Le Marin, we’ll help you get stocked up and ready for your unforgettable voyage in the tropical waters of Martinique.